They’re here! 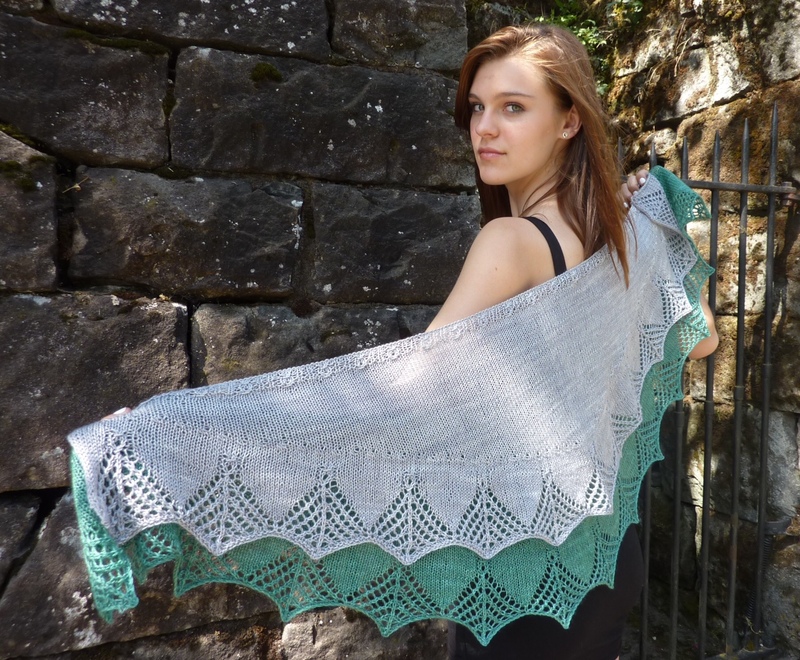 New shawl versions of Filigree and Webfoot are now live. The larger version is two repeats wider than the smaller version, but about the same depth. These are knit with Knitted Wit’s Shine (merino/tencel blend). It’s great to work with, and has a beautiful sheen. It takes well to blocking, too. This pattern and yarn combination will be featured by Knitted Wit at TNNA’s Sample It later this month. 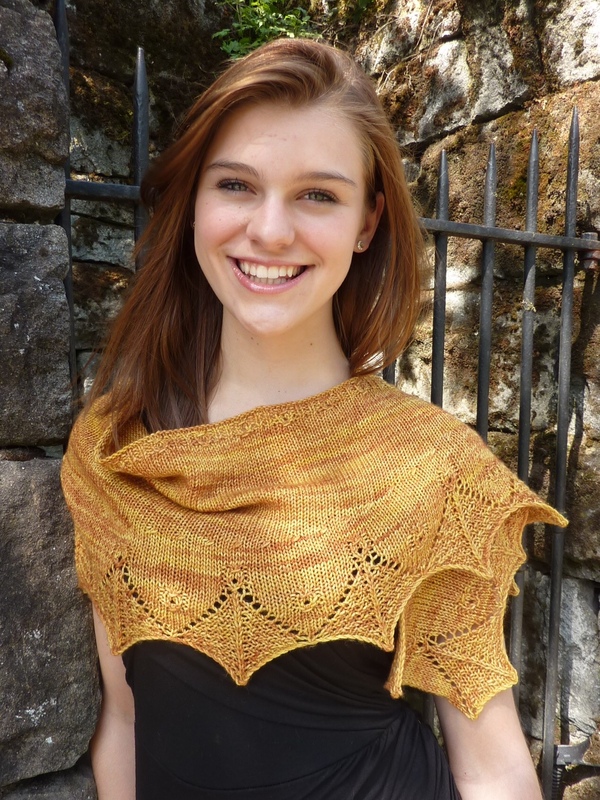 This is the Webfoot Shawl in Hazel Knits Entice, an MCN blend. It is lovely to work with, and so squishy soft. 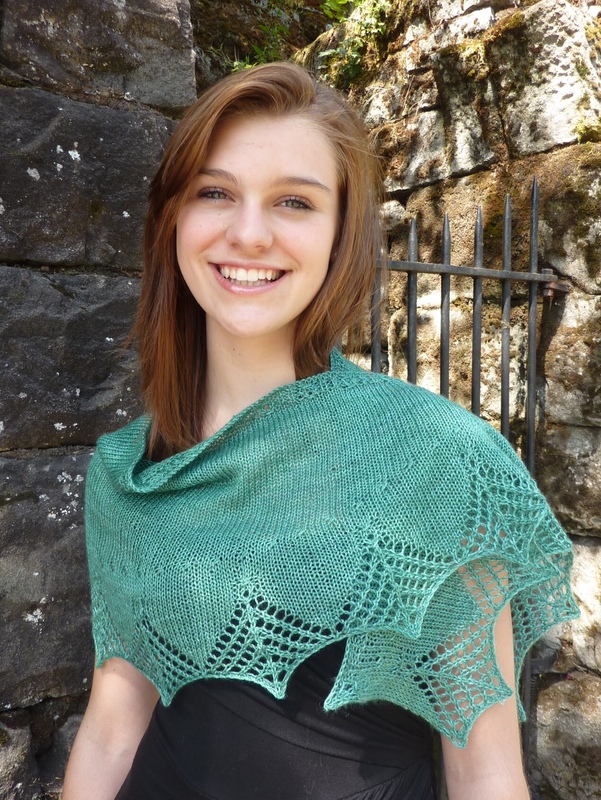 I only knit the larger shawl for this design, but you can always go smaller if you want to. I wouldn’t, because this is so nice to wrap around yourself. Both new patterns have instructions for the original crescent shaped scarf, as well as two shawl sizes. It was a lot of fun to play with the shaping and get a different accessory personality from it. I think the shawls are more useful to me, but your mileage may vary. 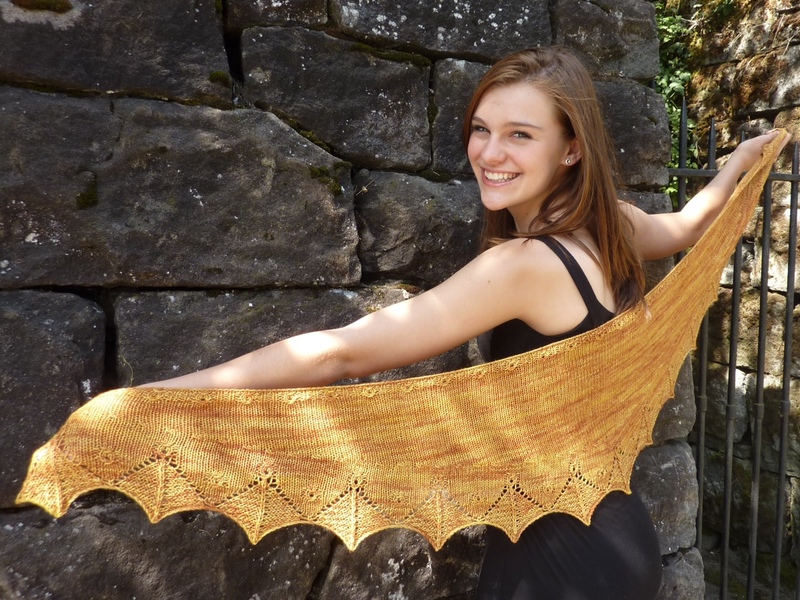 Remember, if you’ve purchased the previous Webfoot and Filigree Scarves pattern, you’ll receive both the Webfoot and Filigree shawl/scarf patterns as updates. You should be receiving an update email from Ravelry with instructions on how to get both patterns. That’s two patterns for your original $6 purchase. Please update by June 30, 2013. If you didn’t purchase the previous pattern, I have a special offer for you, too. To celebrate the launch of these two patterns, they’re each $1.50 off through June 15. Use the coupon code TwoNew to receive your discount on the Filigree page or Webfoot page. You have to purchase them separately, though; the system can only give one discount at a time. And now I have absolutely nothing on my needles. What an odd feeling. But I have a new design idea, two gifts to knit, and the Garland KAL starts on Monday. No idle hands for long! 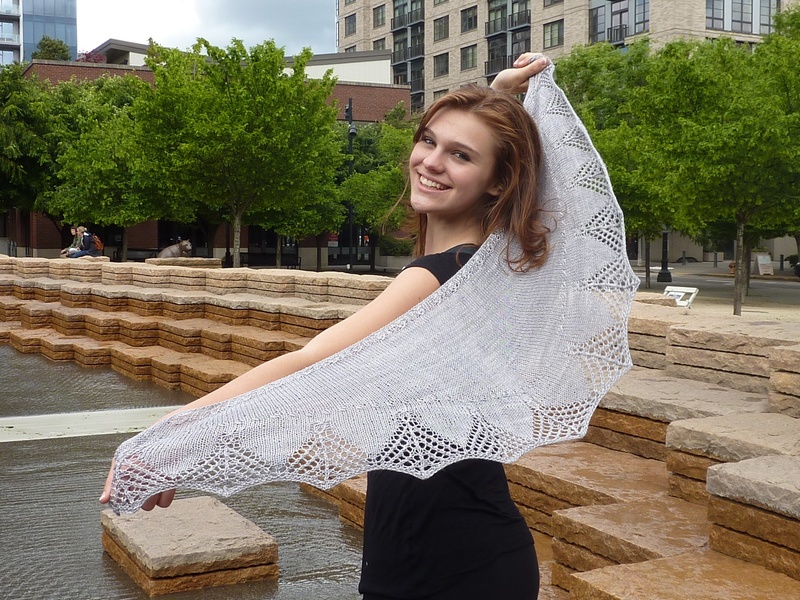 This entry was posted in Knit, pattern design and tagged crescent shawls, filigree, Knit, Webfoot. Bookmark the permalink.